The company has signed an MOU with Sanjana Cryogenics Storage Ltd (SCSL), its Ammonia Terminal Operator, for rerouting a portion of the ammonia pipeline that runs from the Haldia Dock to the Ammonia Storage tank. 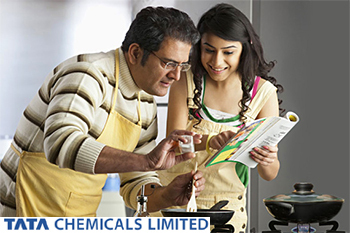 Tata Chemicals Ltd stock ended 7% higher at Rs. 402. The company has signed an MOU with Sanjana Cryogenics Storage Ltd (SCSL), its Ammonia Terminal Operator, for rerouting a portion of the ammonia pipeline that runs from the Haldia Dock to the Ammonia Storage tank. This has been done at the directive of Kolkata Port Trust for facilitating the set up a Multi-Modal Terminal Hub at Haldia by Inland Waterways Authority of India (IWAI). This pipeline re-routing activity is likely to cause a shutdown of operations by about 5 weeks in September-October, 2016 due to interruption of ammonia supply to the TCL-Haldia phosphatic fertilizer plant. The scrip opened at Rs. 377 and touched a high and low of Rs. 405.8 and Rs. 377 respectively. A total of 1257337(NSE+BSE) shares were traded on the counter. The current market cap of the company is Rs. 9564.96 crore. The BSE group 'A' stock of face value Rs. 10 touched a 52 week high of Rs. 525.7 on 23-Jul-2015 and a 52 week low of Rs. 310.05 on 26-Feb-2016. Last one week high and low of the scrip stood at Rs. 377 and Rs. 360.1 respectively. The promoters holding in the company stood at 30.98 % while Institutions and Non-Institutions held 47.48 % and 21.54 % respectively.